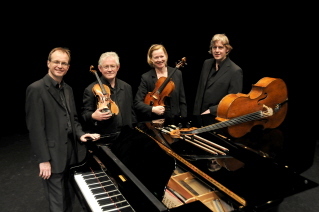 In their ongoing series celebrating the music of Beethoven and the Celtic nations this admired ensemble turn to Ireland, offering John Field’s rarely heard Piano Quintet and the Irish Sonata by Austrian composer Kurt Roger (1895-1966). In the 1790s Scottish publisher George Thompson invited Beethoven to make chamber arrangements of many Celtic airs, some of which will also be included in the programme. Financially Beethoven apparently received more for these folk song commissions than he did for the entire score of the 9th Symphony!